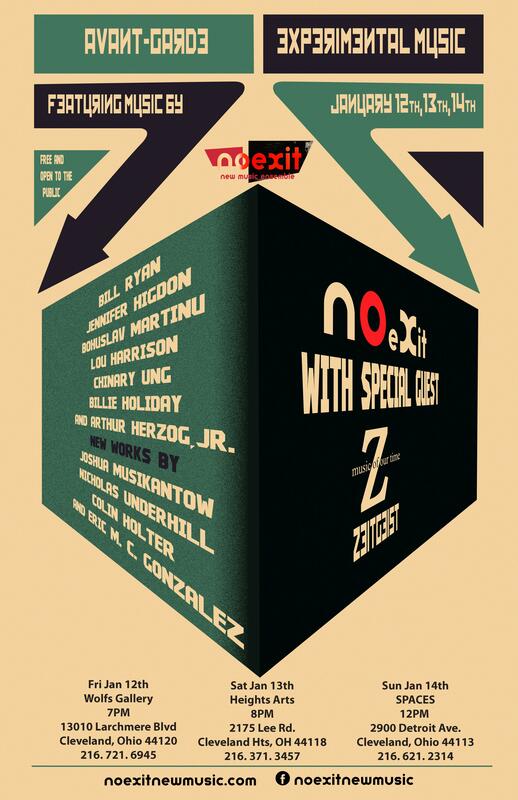 Prepare to be surprised and delighted as No Exit and their special guests, the extraordinary Zeitgeist (from St. Paul, MN. ), usher in the new year with an evening of unique and unforgettable music. Featured on the program will be “Spiral XIV” by Chinary Ung, Bill Ryan’s structured improvisation “Blurred” and new works by Joshua Musikantow and No Exit’s own Nicholas Underhill and Eric M. C. Gonzalez. Free and open to the public.